You need an advisor who looks at the big picture - what you need and when you need it. We are The Finder Group at Morgan Stanley, a three-member team of financial professionals who provide wealth management for families, business owners, attorneys, physicians, couples preparing for retirement, and women who are in transition. After doing this for over 33 years, what's the one question everyone asks? The one question we get regardless of how much wealth the client has? It's not always in those words, but it's always the subtext. Every time. And it's asked in many different ways. It could be in regards to retirement, business profitability, or how multigenerational wealth will eventually transfer. To answer this question, we will study your assets, liabilities, income, and expenses. We will work together to understand your needs and your goals. We want to know it all. Our team has many years of experience. We can help you spot opportunities, minimize risk, and stay on a plan to help you grow, preserve, and optimize all aspects of your wealth. 2017 - Featured in "Make It Better"
2009 - Featured in Research Magazine's cover article, "Leadership in Tough Times"
2008 - Named one of the top fifty Financial Advisors in "Chicago Magazine"
2008 - Named one of the top one hundred women Financial Advisors in the nation by "Barron's Magazine"
2007: Named one of the top one hundred women Financial Advisors in the nation by "Barron's Magazine"
2002 - Appeared on a panel for the Women's Bar Association on WTTW's "Chicago Tonight"
Kylie Pearson is an Assistant Vice President, Wealth Management Associate with The Finder Group at Morgan Stanley. 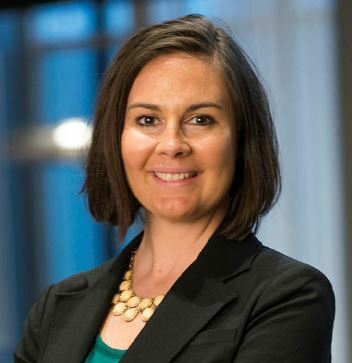 With over 12 years of experience in the financial services industry, Kylie focuses on the analytical work for the team, which includes review preparation, manager/fund comparisons, and allocation updates. Committed to delivering professional and attentive personal service, Kylie works closely with clients to ensure that all their needs are met. 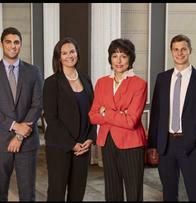 Prior to joining the firm, she was part of the Dealer Marketing Team at AllianceBernstein. Born and raised in Iowa, Kylie received her Business Administration degree from the University of Illinois. Outside of work Kylie enjoys traveling with her family, which includes her husband and 5-year-old son. 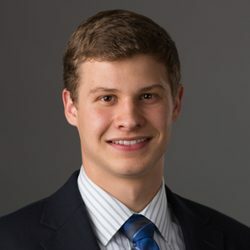 Steven Cherry is a Registered Associate with The Finder Group at Morgan Stanley and has over four years of experience in the financial services industry. Steven is responsible for the operations, client service, and marketing aspects of the team, including market transactions, cash management, client account maintenance, and business development initiatives. Prior to joining Morgan Stanley, Steven served as a Senior Account Executive for Cambridge Investment Research, a privately-controlled financial solutions firm comprised of an RIA and a mid-sized broker-dealer. He earned a bachelor’s degree from the University of Iowa and holds the FINRA Series 7 and 66 licenses. In his spare time, Steven enjoys traveling with his fiancée, spending time with friends and family, and pursuing volunteer opportunities. Ready to start a conversation? Contact The Finder Group today.